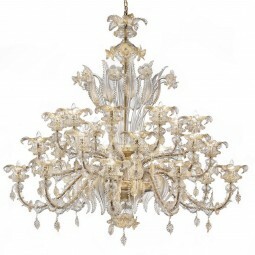 Timeless symbols of a quality manufactury that has been handed down for centuries among the venetian artisans. 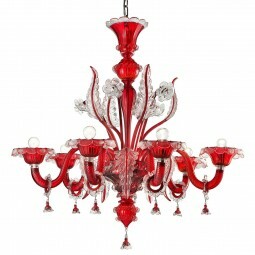 "Maria" large Murano glass chandelier, hand made by authentic Masters glassblowers from Murano.Made on demand. The dimensions and the colors can be customised to individual specifications.Worldwide shipping and total insurance coverage. 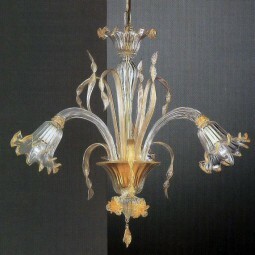 "Maria" Murano chandelier, hand made by authentic Masters glassblowers from Murano.Made on demand. The dimensions and the colors can be customised to individual specifications.Worldwide shipping and total insurance coverage. 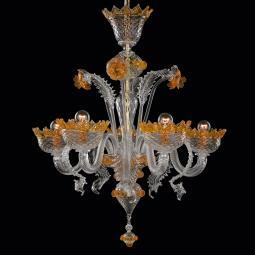 "Minerva" Murano chandelier, hand made by authentic Masters glassblowers from Murano.Made on demand. The dimensions and the colors can be customised to individual specifications.Vacuum-packing, worldwide shipping and total insurance coverage. 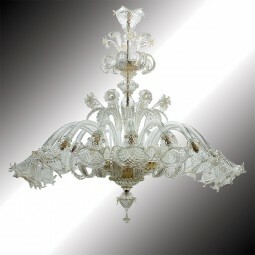 "Mirabile" oval shape Murano glass chandelier, hand made by authentic Masters glassblowers from Murano.Made on demand. The dimensions and the colors can be customised to individual specifications.Vacuum-packing, worldwide shipping and total insurance coverage. 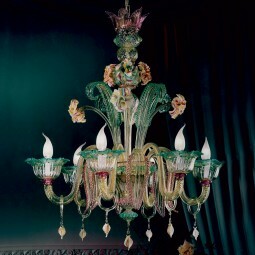 Mori Murano glass chandelier, hand made by authentic Masters glassblowers from Murano.Made on demand. The dimensions and the colors can be customised to individual specifications.Vacuum-packing, worldwide shipping and total insurance coverage. 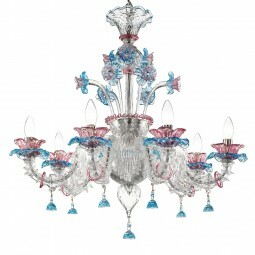 Mori small Murano glass chandelier, hand made by authentic Masters glassblowers from Murano.Made on demand. The dimensions and the colors can be customised to individual specifications.Vacuum-packing, worldwide shipping and total insurance coverage. 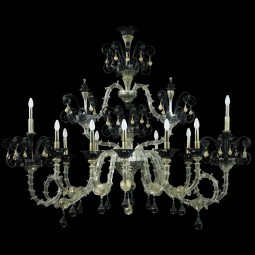 "Nada" Murano chandelier, hand made by authentic Masters glassblowers from Murano.Made on demand. The dimensions and the colors can be customised to individual specifications.Vacuum-packing, worldwide shipping and total insurance coverage. 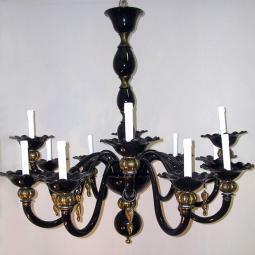 "Nerino" Murano chandelier, hand made by authentic Masters glassblowers from Murano.Made on demand. The dimensions and the colors can be customised to individual specifications.Worldwide shipping and total insurance coverage. 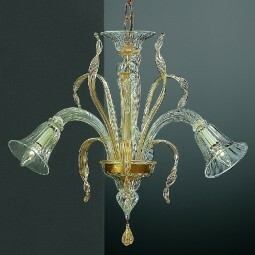 "Norma" Murano chandelier, hand made by authentic Masters glassblowers from Murano.Made on demand. The dimensions and the colors can be customised to individual specifications.Worldwide shipping and total insurance coverage. 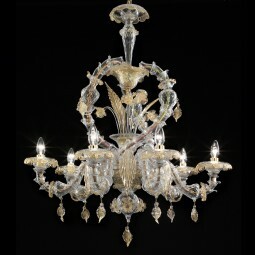 "Perla" Murano chandelier, hand made by authentic Masters glassblowers from Murano.Made on demand. The dimensions and the colors can be customised to individual specifications.Worldwide shipping and total insurance coverage. 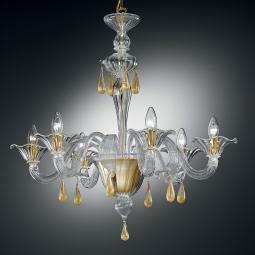 "Prassede" Murano chandelier, hand made by authentic Masters glassblowers from Murano.Made on demand. The dimensions and the colors can be customised to individual specifications.Worldwide shipping and total insurance coverage. 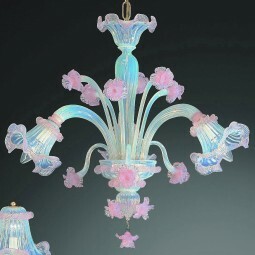 "Prezioso" large Murano glass chandelier, hand made by authentic Masters glassblowers from Murano.Made on demand. The dimensions and the colors can be customised to individual specifications.Vacuum-packing, worldwide shipping and total insurance coverage. Wooden crate packing included in price. 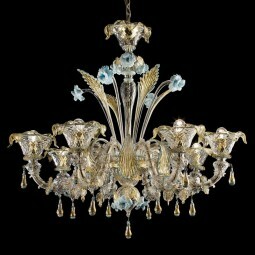 Prezioso Murano chandelier, hand made by authentic Masters glassblowers from Murano.Made on demand. The dimensions and the colors can be customised to individual specifications.Vacuum-packing, worldwide shipping and total insurance coverage. Wooden crate packing included in price. 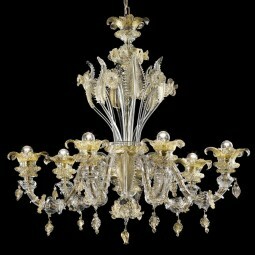 Primavera Murano chandelier, hand made by authentic Masters glassblowers from Murano.Made on demand. The dimensions and the colors can be customised to individual specifications.Vacuum-packing, worldwide shipping and total insurance coverage. Wooden crate packing included in price. "Prospero" lampara de cristal de Murano, hand made by authentic Masters glassblowers from Murano.Made on demand. The dimensions and the colors can be customised to individual specifications.Vacuum-packing, worldwide shipping and total insurance coverage.Wooden crate packing included in price. 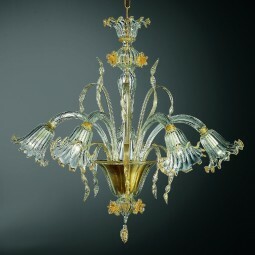 Rialto Murano chandelier, hand made by authentic Masters glassblowers from Murano.Made on demand. The dimensions and the colors can be customised to individual specifications.Vacuum-packing, worldwide shipping and total insurance coverage. 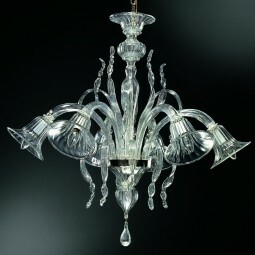 Rialto small Murano glass chandelier, hand made by authentic Masters glassblowers from Murano.Made on demand. The dimensions and the colors can be customised to individual specifications.Vacuum-packing, worldwide shipping and total insurance coverage. 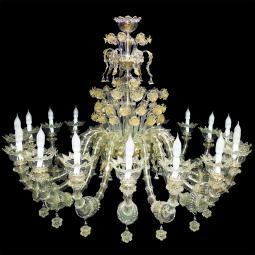 "Rosalba" Murano chandelier, hand made by authentic Masters glassblowers from Murano.Made on demand. The dimensions and the colors can be customised to individual specifications.Worldwide shipping and total insurance coverage. 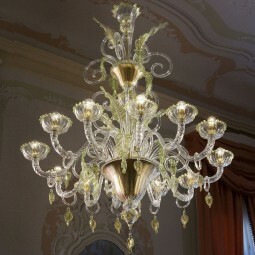 "San Marcuola" Murano chandelier, hand made by authentic Masters glassblowers from Murano.Made on demand. The dimensions and the colors can be customised to individual specifications.Vacuum-packing, worldwide shipping and total insurance coverage. 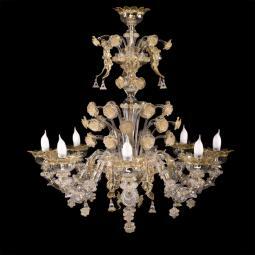 "San Severo" Murano glass chandelier, hand made by authentic Masters glassblowers from Murano.Made on demand. The dimensions and the colors can be customised to individual specifications.Vacuum-packing, worldwide shipping and total insurance coverage. Wooden crate packing included in price. 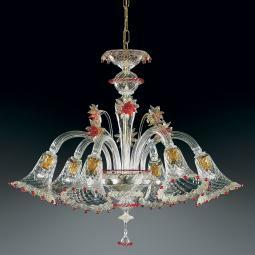 "Santa Lucia" Murano chandelier, hand made by authentic Masters glassblowers from Murano.Made on demand. The dimensions and the colors can be customised to individual specifications.Vacuum-packing, worldwide shipping and total insurance coverage.